Cleanliness can be defined in a few ways. For one, your office should always be as clean of dirt and dust as possible. Ideally, hire a cleaner to come in as often as possible. 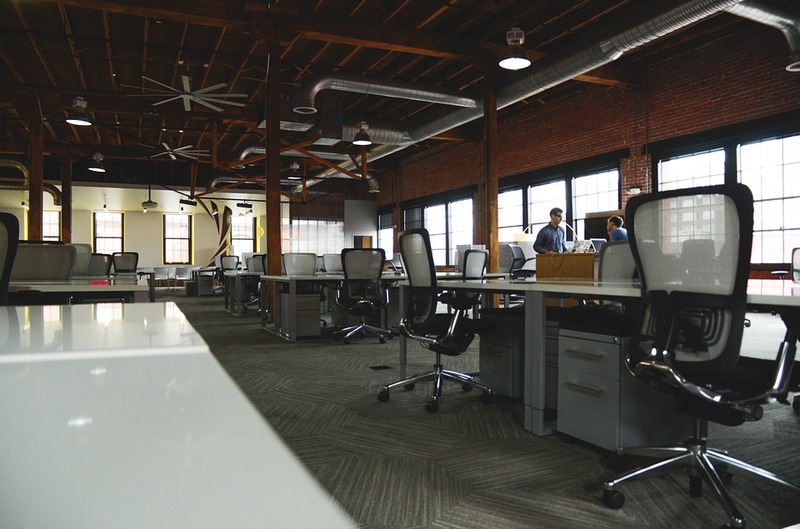 For bigger offices, this should be every night, but for smaller offices, this can be every week for a deep clean and then you can complete the daily chores from there. To help make this process easier have recycling and garbage readily available, as well as dish soap and cleaning supplies in the break room so that employees can clean up after themselves as much as possible. The other way your office needs to be clean is in appearance. Having water stains on the walls or ceilings will immediately make any space dark and dingy, which can have a profoundly negative effect on your employees. Repainting the walls and switching out the tiles on the ceiling will go a long way. From there just make sure that all the lights are working and you’ll be good to go. Design can help stimulate your employees’ brains as they work, allowing for more productive periods and happier workers. Examples include having some artwork on the walls, having plants around the office to improve the look and air quality, and even allowing employees to decorate their office space with a few photos. Invigorate the mind, and the mind will work better on the task at hand. It has been proven time and time again that a better break translates into more productive work. That is why you should put more effort into your break room. Add tables, color, and simple cooking tools like a toaster, fridge, microwave, and kettle so that your employees can have the option to bring in healthy food from home. An office that does not have the best infrastructure is always bound to fail. You need fast internet, great coverage, and proper security for your employees to get their jobs done promptly. If you don’t have this infrastructure already, there are network cabling services available to help bring your office up to speed. Never again ruin someone’s productive streak due to the slow Internet, and never again have your infrastructure hold you and your company back from its full potential. Offices are where work needs to get done, but assuming that just having four walls and a roof is enough is a mistake. You need to ensure that your office is functional, clean, and aesthetically pleasing so that your workers can enjoy where they work. The happier they are, the better they will work for you every day. I’m happy to say our office have all of these. We don’t have our own janitors but all employees have their own responsibilities for cleaning, our walls are well decorated, and a room to sleep in. I agree very well that these are the factors for a good office and employees should also seek for these qualities when looking for a job.